So I sold all my parts and am down to one Giulietta! I still have this page though and a lot of brand recognition… so, how about I list cars/parts/wanted/etc for people? Great Idea Matt. So if you have something you want to sell or buy that’s Giulietta/Giulia related, send me an email with picture, price, description and location and I’ll post it here. If you’re a parts dealer, like Centerline for example, and want to have a link etc, send me an email and we’ll work it out. Cheers! Was this page helpful in helping you find/sell a car or much needed part? Make a donation! Leonardo in Italy has some SS parts including a hood, trunk lid and front and rear windows. Email me (sprints@giuliettas.com) if you want his contact info. Strada e Corsa tells me they have a lot of hard to find and NOS parts for Giulietta’s. They are based in the Netherlands, but happy to ship internationally. and are pictures of Strada e Corsa’s parts collection. Luigi, who bought my 1300 Spider project last year, is now making engine stand adapters for Alfa engines. $50 buys you the blue part you see here. Anything he makes from the sale will go back into the Spider so it’s a win-win. Email Luigi at stampyoldani @ gmail.com and tell him I sent you. Weld quality is high and the flat portions are machine cut. I met Bruce through eBay and he was very cool about me making a mistake and bidding on some truck parts that it turns out wouldn’t fit my dads truck. 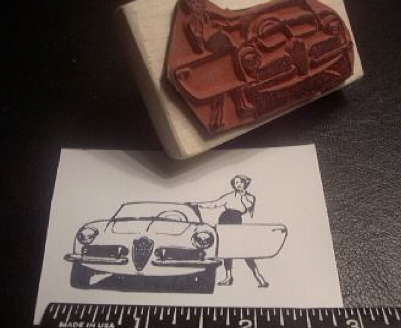 He told me he makes these rubber stamps of Giulietta’s from original advertising materials. Cool. You can buy them through his eBay store. They are $9.99 + $4 shipping. Giulietta Spider/Spider Veloce with chick! And of course, the mighty Sprint! The old For Sale page is here, everything has been SOLD. Hey buddy. Did you ever get the windshield trim for my Sprint in? Let me know what you want for it if you did. Thanks! AFRA seems to have the inside rear view mirrors in stock. Not sure of the quality, I’ve ordered one @ 45 euros. Inside rear view mirror is nice. Early style without the wrinkle finish housing. Underhood lights are available now, Centerline I believe. Are you still looking for 3-shoe brakes? I have a complete 3-shoe brake system for sale. Great site, enjoyed looking at your work. I am in need of a rocker moulding piece for my 101 sprint 1600. It is a front fender spear, about 13 inches long. Hello Matt, I’m missing 3 shoes for my 3 shoe setup. Can you help me with these items? I sold all my 3 shoe parts. I would think OK parts or Alfastop could help you. I am looking to buy a fully restored, short-wheelbase, alfa romeo veloce giulietta spider, circa 1957/58 – any suggestions? I have some 3 shoe stuff i would sell. what do you need? about the SS Giulietta 1961 project, could you send me photos of the car. Best regards. Wow, I’m happy to have found this site! Back in the ’80s I bought a Giulietta SS that had been in storage in Pensylvania since ’65 with 9,200 miles and a blown motor. Its a car that was prepped for racing, with subtle mods to the body, like making the lower line of grill opening less curved in order to increase the ram air inlet. In the process, all trim was removed, and even the “brows” extending rearward from the front wheel arches were “shaved”; the wheel arches given a more normal circular cut, expertly flanged. Judging by materials used (type of primer + lead), the mods seem to have been done when the car was new, and by a skilled panel beater/welder. Mods to the motor were equally skilfully executed. I have no documentation on who did the work,(the previous owner knew nothing; before I bought it, the car had changed hands as settlement for a debt, and then as an inheritance… Last legal registration was to a family-owned trailer company). Alfa knows nothing; even my mother, who was born in Italy and visited the factroy and musium specifically to get for info, came up empty. So, since I’m unable to document the cars history, I’m considering converting it back to a normal street spec car, and am hence looking for all chrome/stainless trim parts including F/R bumpers, grill, grill bars, front turn signals etc. Thanks in advance to anyone who can help with parts or information on this car’s past. How is the big driving light mounted on your white Sprint. I also am running mine without bumpers and would like to slap on a big set of deerspotters. Did you fab the bracket? Thanks, love your site. Wish I was in California for the sports car action! Do you still have the old style instrument cluster you listed above? Will it fit a ’56 Spider? Wallace, if you are “the Wallace who’s originally from Detroit”, please contact me. Thanks. 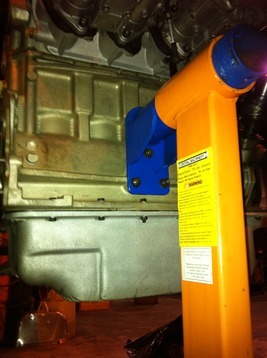 Firewall mounted veloce airbox… possible to probe me with a picture? Is the Giulitta SS project still for sale? It sure is, though I am not actively trying to get rid of it. Email me if you want to know more. Wondered about the NOS destro drum. I’m looking for one to use as a decorator for my room. Have a price in mind? Hi how can I get in contact with the guy who sales the rear window for the sprint? I will need some parts for a 1964 Sprint 1300.
my Giulietta spider needs a new exhaust manifold. I’m looking for the old one-pipe-version. It’s a 750 D, from July ’57. Do you have an idea where I should find one in good shape, ore new? I see those on eBay pretty often, though never new. Maybe I had to try it on eBay motors in the US. In Germany it’s realy hard to find. Have you tried Alfa Stop? http://www.alfastop.co.uk ? Tel: 0177 382 2000 ask for Tony. 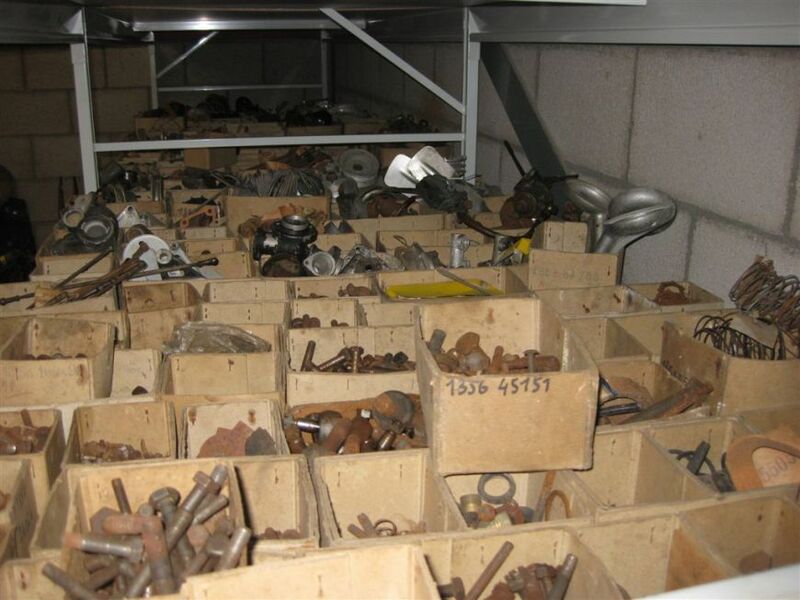 They have lots of Giulietta parts. You have to sort through the posts. I haven’t done anything to the body in a year but it has been stored indoors so it is the same as seen here on the blog. Email me directly at sprints@giuliettas.com and I’ll send you some current pictures soon. I don’t have any more parts for these. They turn up on eBay fairly regularly. I do. I’ll send you an email. Hi and Happy New Year to all. I am restoring a Sprint 1300 1964 and I can not find the color combination for that year, does anybody know the body color and the interior combinations? Hi, I have an Alfa Romeo Sprint 1300 1964 and I am looking for the indicator lights and the 3 switches at the dash, the cigarrette lighter and the 2 levers at the steering wheel. If somebody have the parts please let me know. AFTER ALMOST OF 52 YEARS OWNERSHIP AND ABOUT LOVING 87000 MILES I AM THINKING ABOUT SELLING MY ALL ORIGINAL, IN VERY GOOD CONDITION ALWAYS GARAGED LATE 1957 GIULIETTA SPYDER. IT HAS A NEW TOP, ALMOST NEW TIRES AND VERY GOOD ORIGINAL WHITE PAINT. WHAT WOULD BE A GOOD ASKING PRICE FOR IT. if yes, can I have some pics t my email and a price? Hello Matt, I came across your 124 Special story. I did the same swap back in 1980, but added a 5 speed, and loved this car. I drove it for three years before selling it. Have you ever finished yours? Where are you located. I’m in NW Arkansas. hi looking for alfa romeo giulia spider 101.23 air filter box do someone have to sell? I am looking for the truck latch for my 1956 Alfa Romeo Giulietta Sprint. Do you have one and how much do you want for it? I live in Italy. Should you need to call me, my cell. phone is 011.39.335.7602382. Hope to hear from you soon. Thanks. 1) In good condition. Front (bonnet) lid: window and side vent glass -both doors: window winders (2): headlight lock ring and container (1): front bumper (driver’s side only): door lock release arm (1): rear lid lock: Front brake drums. 2) Rusty but possibly usable: Oil pan (Veloce? ): Lucas generator: speedometer: hood clamps. 3) Lots of Alfa books and sundry small parts. 4) Instrument pod and 3 Fergat 7 x 14 wheels for 74 GTV. Email for photo and/or price, if interested. Can you send me pics of the Rusty oil pan and brake drums? I have a 1964 Giulia SS (fully restored) and currently located in the UK… I am looking to sell it having restored and owned it for 9 years. What would be the current market value? Any buyers in the UK interested? Its been very lightly used in the last 3 years (too precious, weather too aweful).. which means maybe its time for it to go. Could be interested in part-x with a similar aged spider..
we are looking for a part for a 1960 Giulietta ‘spyder’: a hand-throttle accelerator cable, in any working condition, with or without the knob. thanks in advance. Hi, would you happent to have an engine compartment light for a 1961 ALFA SS. I have been searching for this part for a long time now. If you do not have this part, could you give me a good lead? at this moment i do not have it. maybe i will find it at my stock of parts.give me your e-mail and i will check it. Would you happen to have a hood release handle? Also, would you happen to have horn brackets or a complete horn with the mounting bracket? Looking for a fairly intact convertible top frame for a 750 spider. do you have a washer jet for Giulietta SS to sell to me? Dal nome mi sembra Italiano, spero mi capisca. e i due vetri, parabrezza e lunotto, tutto in ottime condizioni. Mi dica se le interessano. “Named after Italian I think, I hope you understand. 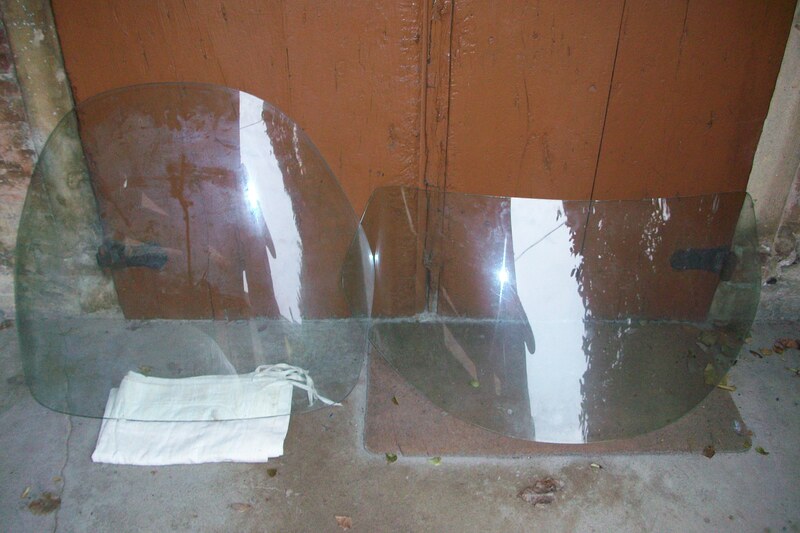 and the two windows, windshield and rear window, all in excellent condition. Looking for my fathers old 1963 Alfa Giulietta??? Ok, so this might be like trying to find a needle in a haystack that is even if it hasn’t been crushed by now but I just came across a trade in invoice from 1968 with the Vin number of his 1963 Alfa Romeo. He purchased this car straight from Italy and had it shipped over to him. He purchased it from his uncle who raced Alfa Romeo’s in Italy and this was was modified and tuned for racing. So the Vin is AR 355428 (2 door, right side drive, Giulietta coupe), is there anyone out there that knows how to break down this vin so I know more about this vehicle? Also is there some sort of registry that I could type it into and see if anyone owns it now? Any help on this would be great, thanks guys I am a total newbie to this! Another Giulietta SS for sale – this one is mine ! Nice solid non concours car, but not far away with all that polishing that can be done! Hi, I would really like to get one of the engine mounts from Luigi. Is that email address correct, looks to have one to many @’s ? I AM LOOKING FOR THE CHASSIS OF A GIULIETTA SS, NOTHING MORE NOTHING LESS. Hi, I live in Elko, Nevada (but from San Diego). I have wheeled and dealed everything but old cars are my afinity. Needless to say I picked up this Alfa Romeo Spider shell just days before it was to be crushed. Its gutted but rock solid other than the floors(carpet plus water=bad)…..I would either need a rusty doner or send it to a good home. amazing it even survived. Any idea of year and other info? Your websight is by far my favorite and has opened my eyes to a new italian flavor :) AR * 372538 Is there any way to e mail pix to this sight or post them? Let me know if you want me to post it. 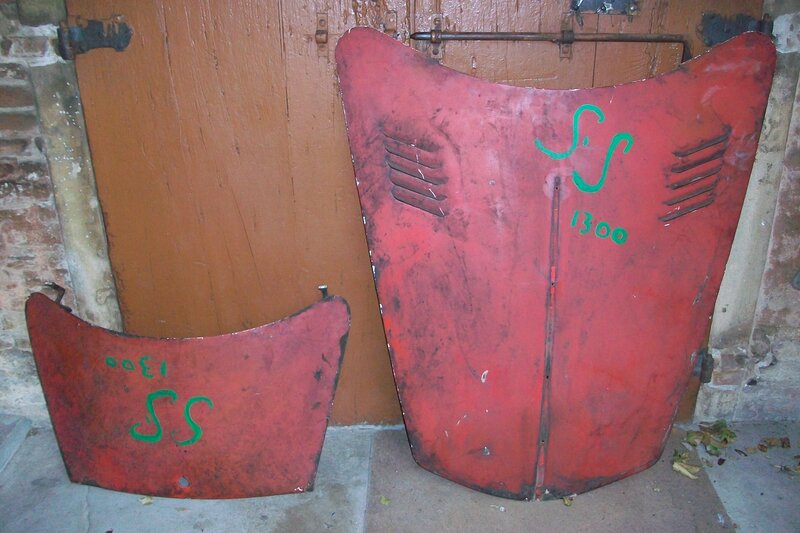 EARLY 60’S PURCHASE,(NOS) GIULIETTA TI SERIE III (1962-1965) BUMPERS FOR SALE, BOTH FRONT AND REAR. VISIT MY PRIVATE GALLERY SITE : http://WWW.CLASSIC-CARS.GR AND CHOOSE THE SPARE PARTS CATEGORY. 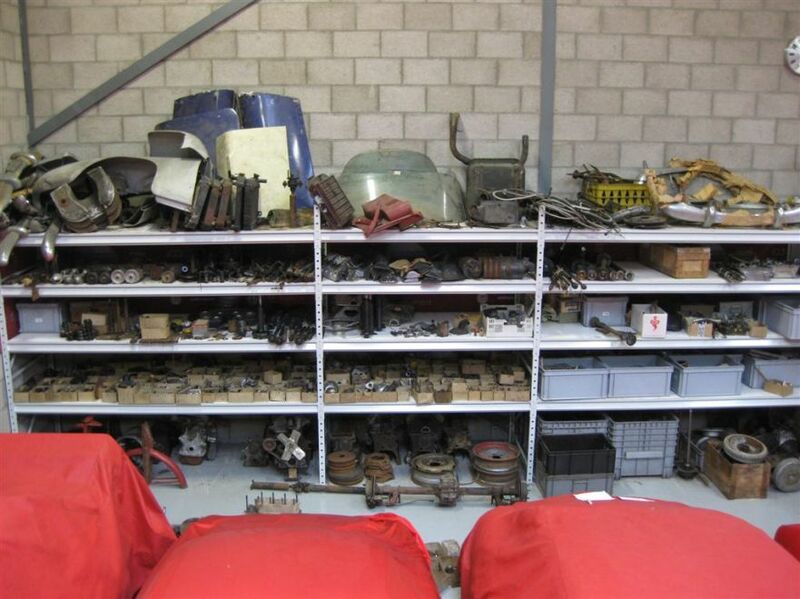 OTHER (NOS) GIULIETTA PARTS AS WELL. DO NOT OWE MY GIULIETTA ANY MORE, SO PARTS HAVE TO GO TO ANOTHER ENTHUSIAST. Thank you for all important information about Giulietta´s ! Your work are very important for all ” giuliettisti ” around the world ! THANK YOU !! Keep going ! I’m listing this here for a friend — this is not an Alfa but a close cousin on the SS side . . .
Do you still have your 40 DCO 3 ? looking for inner roof for a Giulia 101 -62? You are looking for the soft-top frame ? i am looking for the innerceiling to a Giulia Sprint -62 series 101. Are you looking for the cloth headliner? Yes sorry for my bad english. I am selling my 59 Spider at the Gooding Sale in Amalia Island it is lot #18. Wish me luck, I have never sold at auction, let along one with NO Reserve. Good luck and let me know what the experience is like from a first timer perspective. Let me know what your experience was. I have a 63 Giulia spider I may do the same, Thanks, mike J.
Congrats, Ed. Looks like you got a record price for a normale. I’mk restoring my giulietta spider 750d 1959. Could you help me find the missing spare parts listed below? I can help with the filter box. Hi Matt, Do you have the airbox cradle that bolts to the inner fender well? I have good original pair of Giulia windwhiels posts and a re-chromed top connector piece for sal along with some extra hood, trunk hinges and a trunk fob. I can send pictures. I am looking for the side spears for a 63, the upolstered panels behind the doors that close in the bodywork. and the cromed strips for the inside of the doors, have spare instruments as well and odd crome pieces to trade or sell. Need seat backs, have extra seat rails. Would you consider a late 10/41 rear axle with LSD? There are a few guys local to me who can do the conversion so the rear end will work in a 750/101 with drum brakes. Hi I have an giulia ss coming up for sale in the uk in May it is a right hand drive and was once in the U S during the 80s. It is in the body shop at the moment soon to be completed I have loads of history with the car along with the name of the owner in the U S.
The car will be of a very high standed as this car had £31000 pounds sent on a rebuilt back in 1991 so was in good condition when I bought it some 11 years ago. I think RHD will be a tough sell in the states, but the Australians seem to be coming on strong with the Alfa collecting. the japanese would have gone for it too, in years past,…but does anyone over there have the money for one these days?….matt is right – the aussies are pretty flu$h lately…..
Did you ever sell your SS? Hello everyboby im looking for an engine for my giulietta spider with the gearbox . Anyone got some parts wants to sell??? Contact me on the email below. Ciao a tutti sto cercando un motore per la giulietta spider con il cambio. Se qualcuno vuole vendere contattatemi sul mio email. A friend and I are looking to use his body a machine shop for a renovation of a Guiletta. We agree on that. Can u help find a project car? Within bounds price is more important than extent of work, assuming nearly complete in terms of parts. Does anyone have or know where I can get exterior chrome pieces for a 1956 Giulietta. I need front and rear bumpers, and the the chorme strip that runs along the rocker panels for both passenger and driver side. I have front and rear bumper sets available. Your Series 750 (Spider ??) would have used chrome plated brass sill spears beneath the doors. 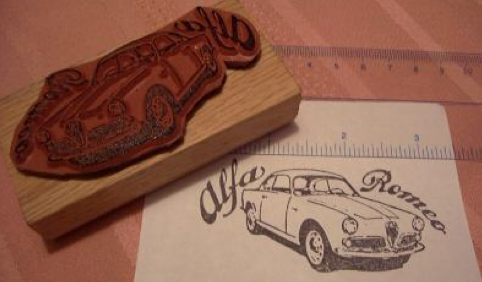 Classic Alfa in the UK sells stainless steel reproductions. I have the steering wheel for my 1961 giulietta spider but only the black outer portion with two spokes. It is missing the chrome inner ring trim and Giulietta centre boss. Anyone know where I can get the inner parts of the original wheel or a new wheel? Also missing the original rear view mirror. Anyone able to provide me with reasonably priced one?